Six years ago today – well, tonight – Joshwa walked into my home for the first time. I won’t lie, it wasn’t love at first sight. Lust, definitely – much to the consternation of the guy I was “dating” at the time – but, more importantly, we were connected at first sight. He was a rock star. My house was the place to be for tons of people. He sat there most of the night and didn’t talk much. But then, I went out back for a cigarette and he followed me out. An hour later we finally came back in – we had just sat outside talking the whole time. He hung out after most everyone else left and we just talked. The next weekend, we hung out at Cane Creek where my friend, Beau, was a cook (hung out with his girlfriend – my girl, Sidda, in the bar area) and we started what has been the basis of our relationship – bickering for the fun of it. ^__^ Two weeks later, he stayed at my house (slept on the couch) and from then on, he stayed at my house more and more until he wasn’t leaving anymore. Now, I can’t talk about this without recognizing my then best friend, Mary. She met Joshwa first, at one of his shows. They had a bit of a flirt, but it never went anywhere and the summer came and he moved to the coast with his best friend, Neil. He had only recently come back to Hattiesburg when she called me up to ask if she could bring him with her to my house that night. I loved her and – even knowing that she wanted to bring him to show me how cool she was – I said yes. I wasn’t expecting much. Well, that night she left before he did. She was there with us that next weekend. And the one after that, when he stayed the night. But she was interested in my friend/neighbor and I had cut ties with the guy I had been seeing. She told me – before I had even acknowledged in my own mind that I was attracted to him – that there was not and never had been anything going on between them. Of course, once we did start moving towards that kind of relationship, she changed her mind. After we started living (and sleeping) together (Thanksgiving Day 2005), she decided that I stole her man. Of course, there were other things happening with her at that point – bouncing between abusive relationships, her entire personality changing – that she wouldn’t let me be there for her through. So it just became easier to let her go. 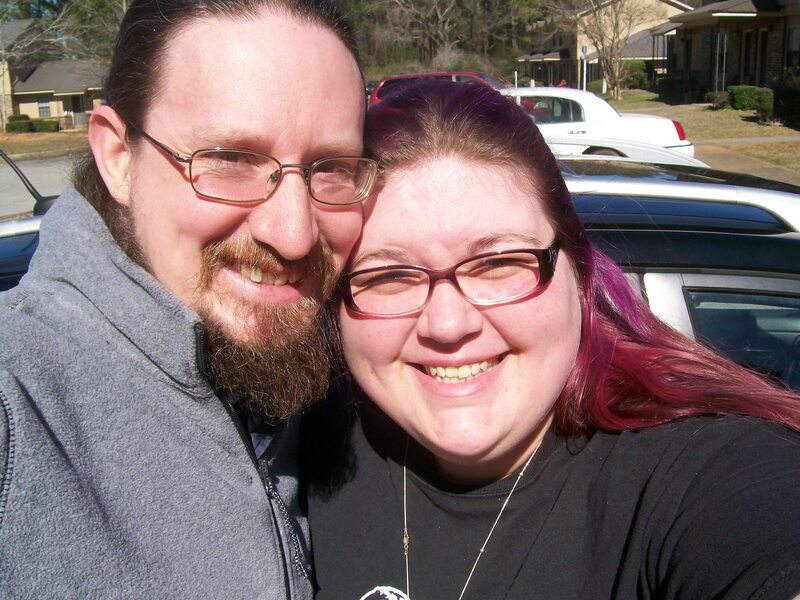 So today, I celebrate the fact that my husband and I have known one another for six years. In three weeks time, we were spending nearly every day together. On this day six years ago, I met my best friend, my lover, my biggest supporter/cheerleader, my favorite singer, the person who understands me better than I understand myself. And yet, today marks the anniversary of the failing of the friendship with my best friend in high school, made harder by the fact that my other best friend from high school had cut me out of her life that year because of lies from her boyfriend and his friends. It’s bittersweet. But this year, I think it’s appropriate. I haven’t said anything about this yet, and I’m not going to talk about it much after this. I was pregnant. It was a non-viable pregnancy (hence why my hCG was never high enough to register). It’s bittersweet. I can get pregnant. But this time, there is no doubt that I have miscarried. I’m healing the best way I can and maybe one day I’ll feel like talking about it more. But for now, I just can’t. So, today, I’m going to spend the day with my husband (if he’ll ever wake up ^__^). We’ll cook together and maybe go for a walk and we’ll celebrate the last six years and the next fifty. Yeah, it was Mary – the girl that I had originally asked to be my maid of honor since – as she reminded me – she was the one who introduced us. And then never called me back? Yeah, her. The other girl, Mandy, and I have made up since the birth of her son. She now has another kid and is getting married to that one’s dad. We’re hoping to go to the wedding, actually.